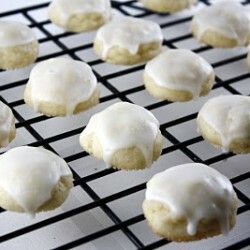 These Lemon Drop cookies are by far the most delicious way I’ve found to use up some extra lemons. Plus I think they’re so cute! They’re kind of like a lemon version of russian teacakes. The sweet, yet tart cookie melts in your mouth, and the lemon glaze is the perfect accent. I brought these to work and they were a huge hit. Lemon is a popular flavor around springtime, and everyone seemed to really like these. I made them while Mike was on a church retreat, so he hasn’t tried them yet (a fact he has reminded me of quite a few times since he’s been home.) 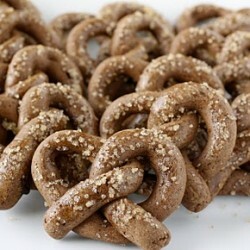 They’re so good, I’m glad I have an excuse to make them again so he can try them. Preheat the oven to 375 degrees F. In a medium mixing bowl, whisk together flour, baking powder, and salt and set aside. In bowl of stand mixer, cream the butter and powdered sugar on medium. In a small bowl, rub the sugar and lemon zest together. Add to the butter mixture. Blend until smooth. Add the lemon juice and beat until well combined. Turn mixer to low, and slowly add in the dry ingredients. Turn the mixer up to medium and mix until flour mixture is combined. Chill the dough for at least 30 minutes and up to overnight. Roll the cookie dough into little balls, using a Tablespoon of dough or a little less per cookie. 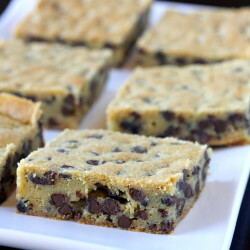 Place the cookies on a parchment lined baking sheet and bake 10-12 minutes or until bottoms are very slightly browned. Remove from oven and let cool on cookie sheets. Transfer to a cooling rack. To make the glaze: mix powdered sugar and lemon juice together in a bowl. Use enough lemon juice that the glaze is about the consistency of honey. Dip the tops of the cookies into the glaze. Let sit until glaze is hard. I have a similar recipe that uses oranges instead of lemons. Very yummy! THESE SOUND SO GOOD! lemon is one of my fave dessert flavors, I have to show my sons, they are the only ones who get excited about food with me!!! I might have to link back to you on my bloggy if I can find the time to post them! The hubby would love these! How adorable!!! I love the name too. Very catching. I used to eat lemon drops with my dad when I was a kid and have loved them ever since. I love lemon drop cookies and all things lemon! i'm always a sucker for a cookie with frosting. these look divine! Kelsey – I remember being confused about glazes too! Who knew they were so easy?? sweetlife – lime cookies would be delicious! 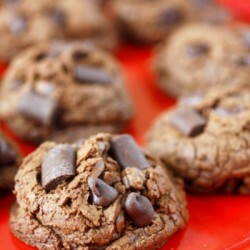 I added this recipe to my collections. Plan to make it again this weekend. Lemon was not on sale at Meijer yesterday, otherwise I would buy a whole bag. I just made these today. I doubled the recipe and glad that I did, I know they will be a hit. They are very delicious. They were very quick and easy, the toddlers were able to roll (or smash) a couple to help. can't wait to try these! i love lemon! Yummy! Thanks for the recipe 🙂 I might have to try these today for my Momma! My daughter made these today, they were a big hit with everyone. Hi, Can the dough be refrigerated for a week prior to baking? I wouldn’t refrigerate the dough for a whole week. If you want to do the work in advance, I would just bake them in advance then freeze the cookies until you’re ready to serve them. I’m seeing a lot of recipes for lemon drops that require eggs, this one does not, is that correct? I am definitely going to try these! Thanks!